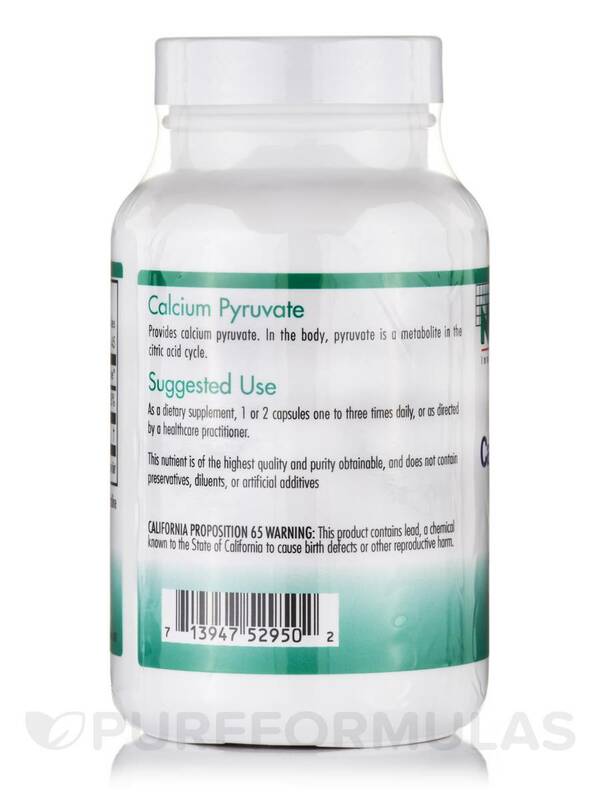 From the first week I have tried Calcium Pyruvate by NutriCology has helped me in loosing weight 10 pounds within 2 weeks not even exercising, very happy with results will definitely continue ordering it :)) thanks . 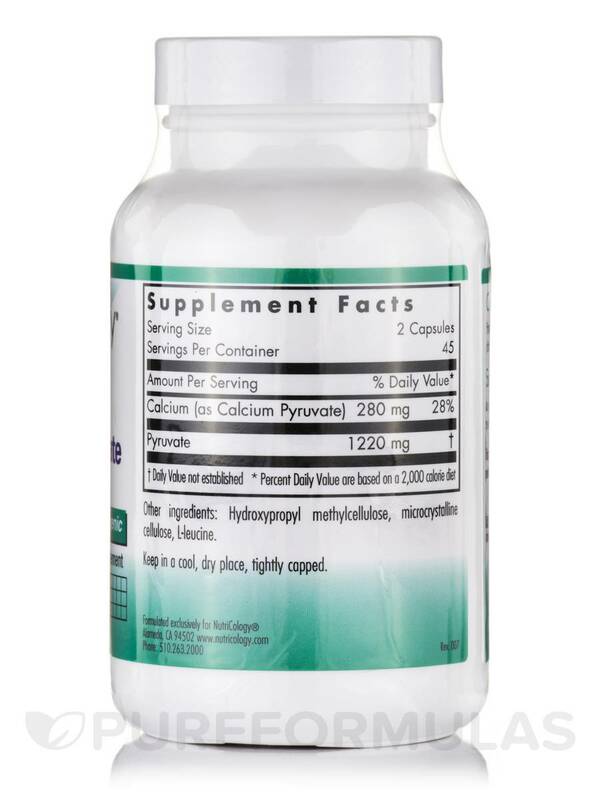 Calcium Pyruvate 90 Vegetarian Capsules from NutriCology® may be a good dietary supplement to provide your body with essential calcium and pyruvate. This may enhance the overall health of the body. It is a known fact that calcium is the vital mineral that is necessary for promoting healthy bones and joints. Calcium is also responsible for stimulating many biochemical reactions in the body. These reactions may help to maintain a healthy body. When calcium levels drop‚ the body starts absorbing the mineral from the bones and joints. This may result in a condition called osteoporosis. This disorder may make the bones brittle and easily breakable. The supplement from NutriCology® contains the chemical calcium pyruvate. 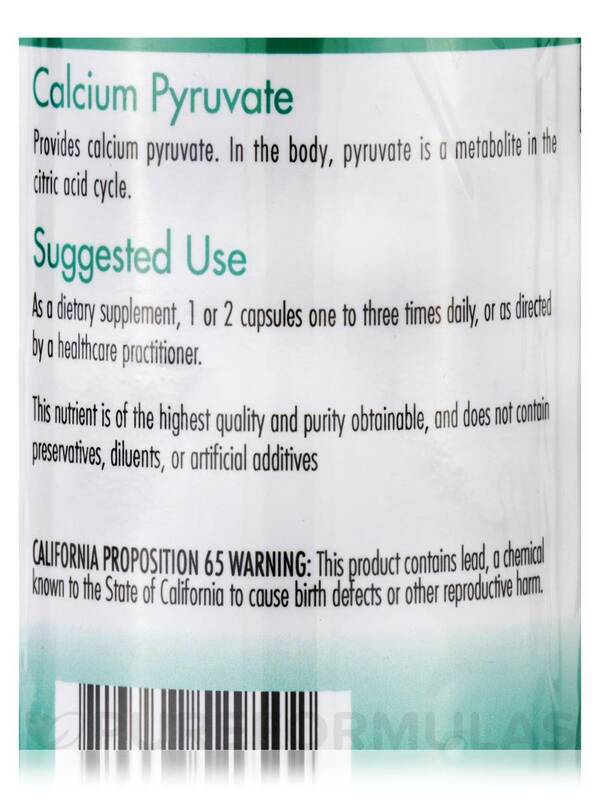 Pyruvate is a biochemical naturally produced in the body. When glucose is metabolized‚ the sugar breaks down and produces pyruvate in the body. It is said that pyruvate may help in conditions like obesity‚ cataracts‚ high cholesterol and weight loss. The liquid form of pyruvate is called pyruvic acid. The acid may help in reducing signs of aging such as skin wrinkles. Some researchers say that pyruvate stimulates the metabolic activities and citric acid reactions in the body. 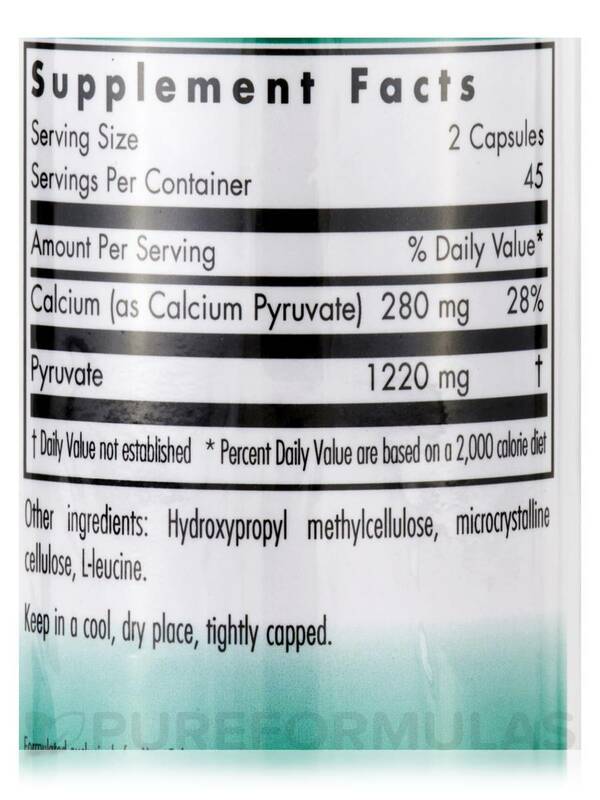 In summary‚ pyruvate may help in improving the metabolic wellness of the body. Looking for a good supplement that may improve your bone health as well as your overall immune system? 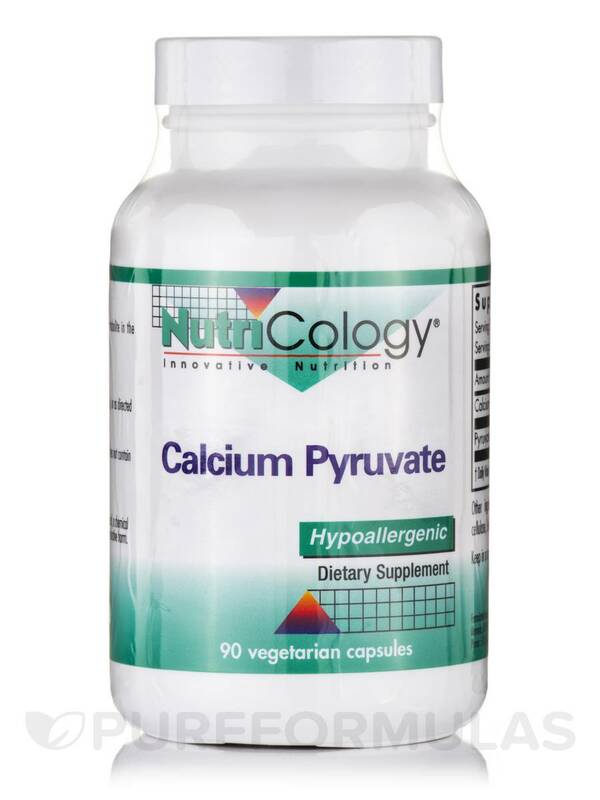 A regular dose of Calcium Pyruvate 90 Vegetarian Capsules from NutriCology® may help. Works awesome on my weight loss!! Fast working great energy, kiss weight.